Polair vison of the evade police incident on Tuesday that commenced in Wallangarra and concluded in Mansfield. News A MAN who led police on an interstate car chase this week remains on the run, after brazenly hijacking a vehicle and stealing two others. 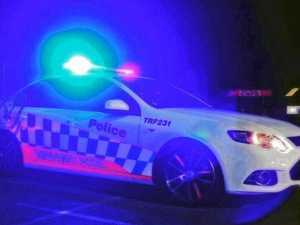 Crime POLICE are searching for a man who led them on a 290km chase - evading the PolAir Chopper and road spikes in the process.